California State University, Northridge has been ranked among the top 25 music schools in the latest issue of The Hollywood Reporter. Published in the Dec. 2 issue, this is the third year in a row that CSUN has made the list in the nation’s leading entertainment-industry trade magazine. Other schools listed include the Juilliard School, University of Southern California, San Francisco Conservatory of Music, Berklee College of Music, New England Conservatory, Yale School of Music and the Royal College of Music in London. Music professor Ron Borczon, director of CSUN’s acclaimed Music Therapy Wellness Clinic, has worked at the university for more than three decades. 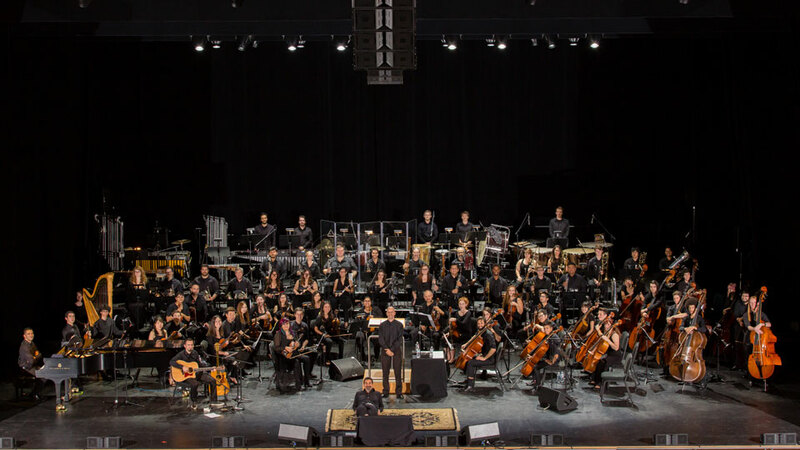 CSUN’s music program is consistently rated among the top in the nation. Few institutions can boast such highly recognized music industry, music therapy, media/film composition, jazz and vocal and instrumental performance programs. Graduates of the music program immediately find opportunities in Los Angeles’ bustling music industry and film business, university officials said. It’s those achievements that earned the institution a ranking by The Hollywood Reporter, said assistant professor of music industry studies, Andrew Surmani, who oversees the Master of Arts in Music Industry Administration program. The video below throws the spotlight on just one of the programs in CSUN’s Department of Music, it’s acclaimed jazz studies program.